Walnut Hill Farm will have YELLOW watermelons! Ninja Kombucha will have these tasty flavors: Shinobi (lemon), Blackberry / sage and Watermelon / basil. 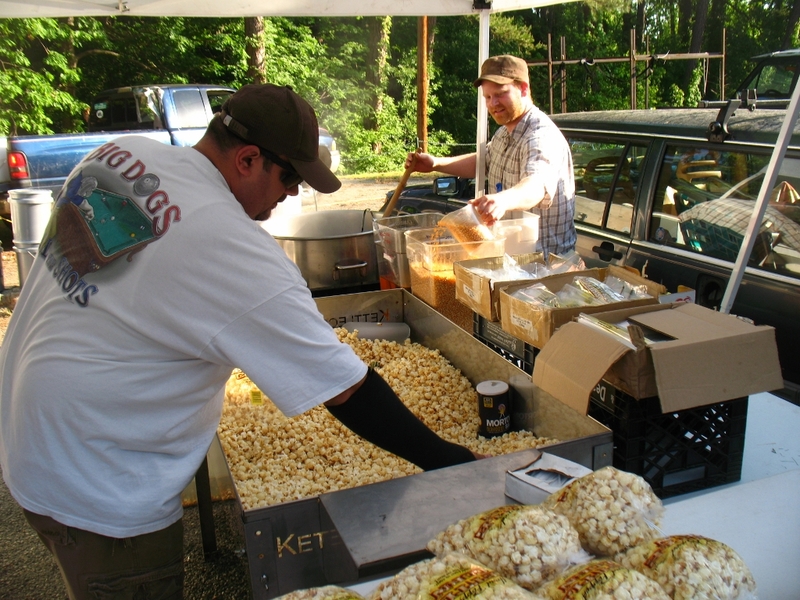 Mark’s Airbourne Kettle Corn is back! 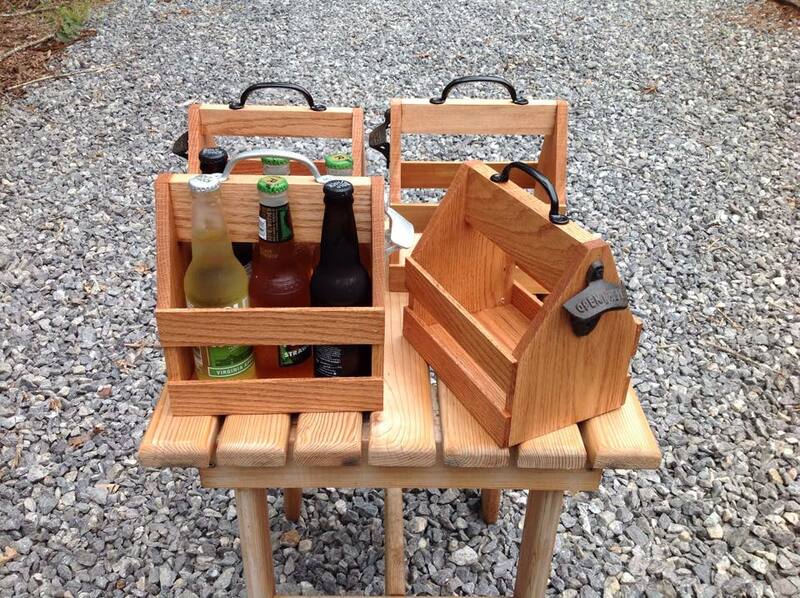 How cool are these beer totes from Chad Allen Woodworks? 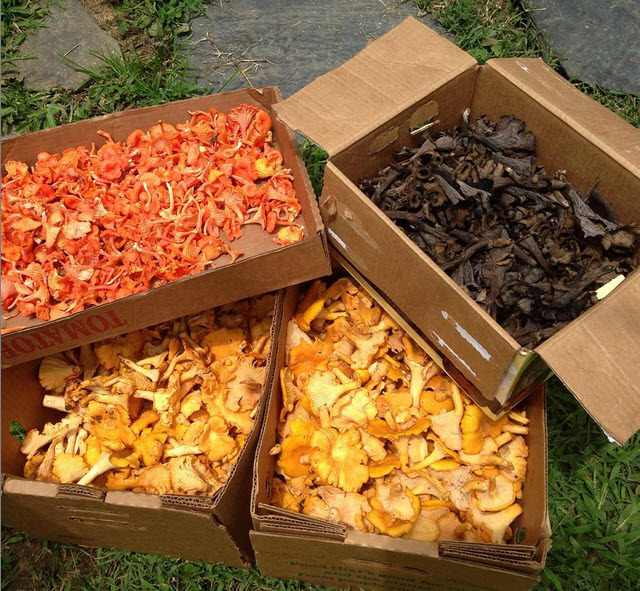 Haashrooms is loaded up with fresh picked mushrooms: Red Chanterelles, Golden Chanterelles and Black Trumpet Mushrooms! 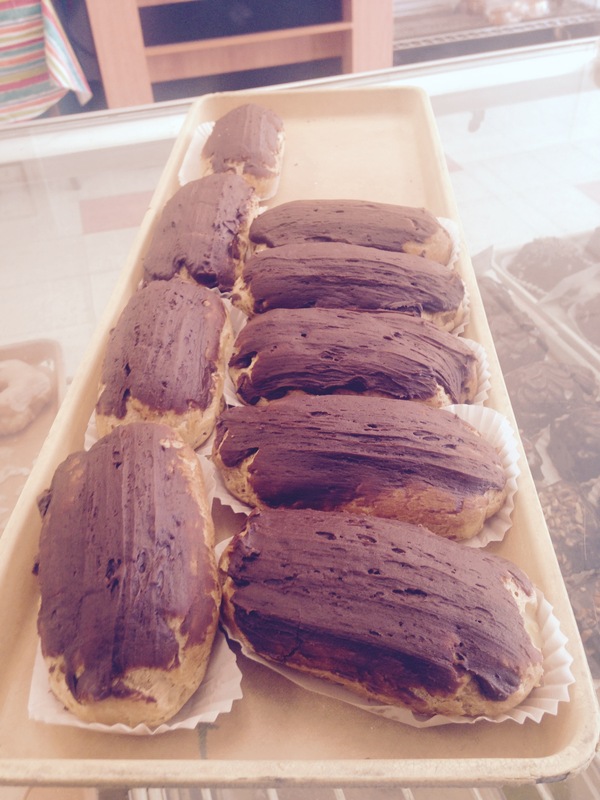 Williams Bakery will have eclairs… that’s two weeks in a row. How lucky are we? 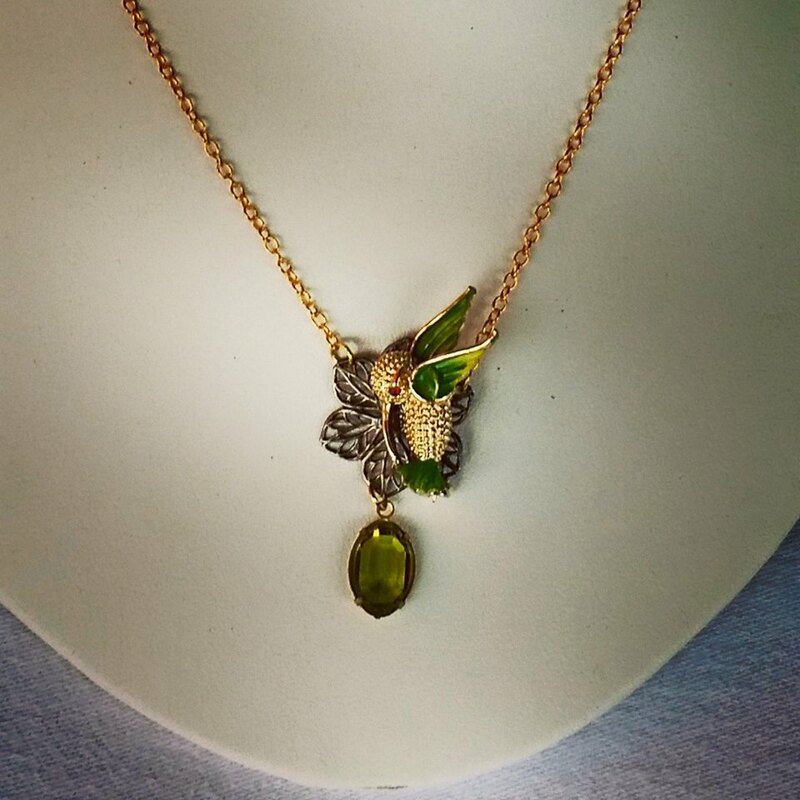 Jewelry by Leann and Teresa will have this one of a kind upcycled vintage humming bird flower necklace. 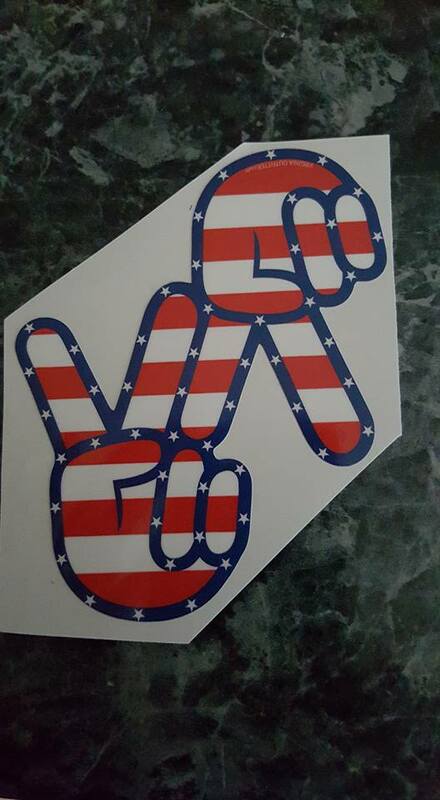 Virginia Outfitter has new stickers! 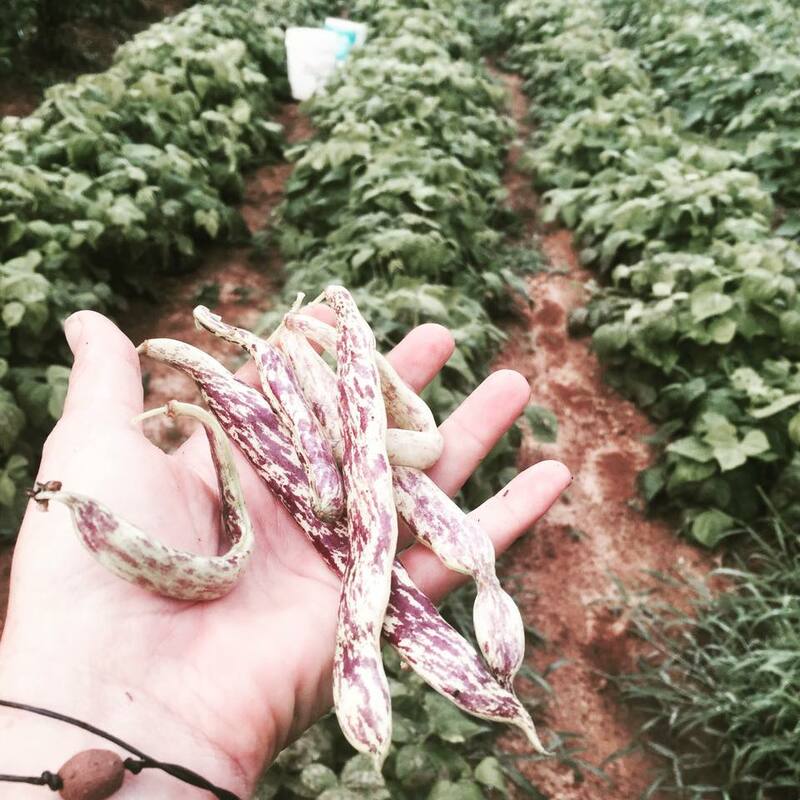 Just Bee Kind is picking Dragon Tongue Beans. Delicious! 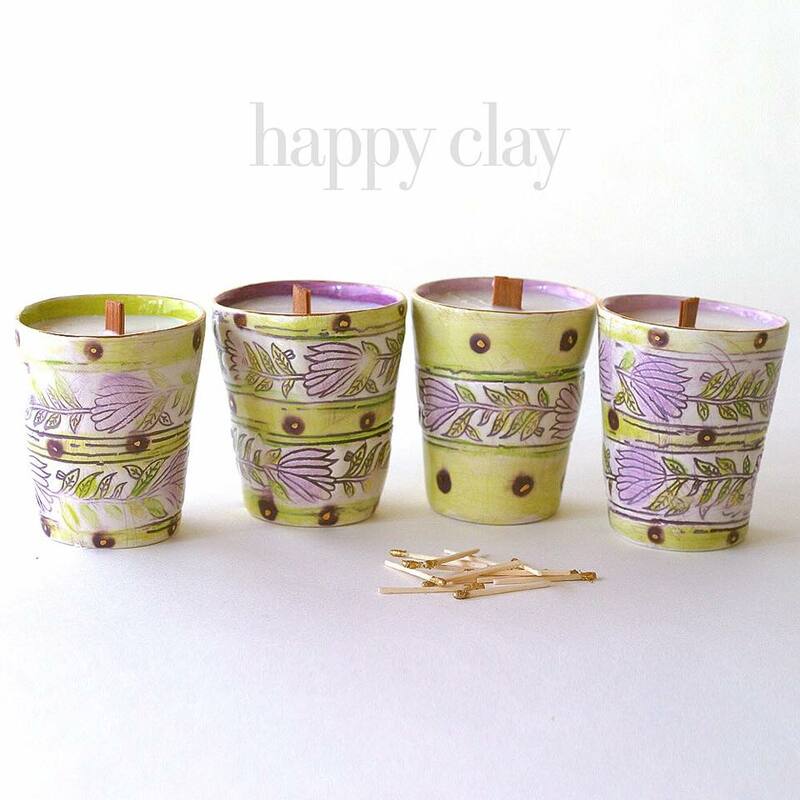 Happy Clay will have 100% soy candles hand poured with wooden wicks that crackle like a Bonfire as they burn. Adam Goldsmith Photography will be back with lots of new work to see. 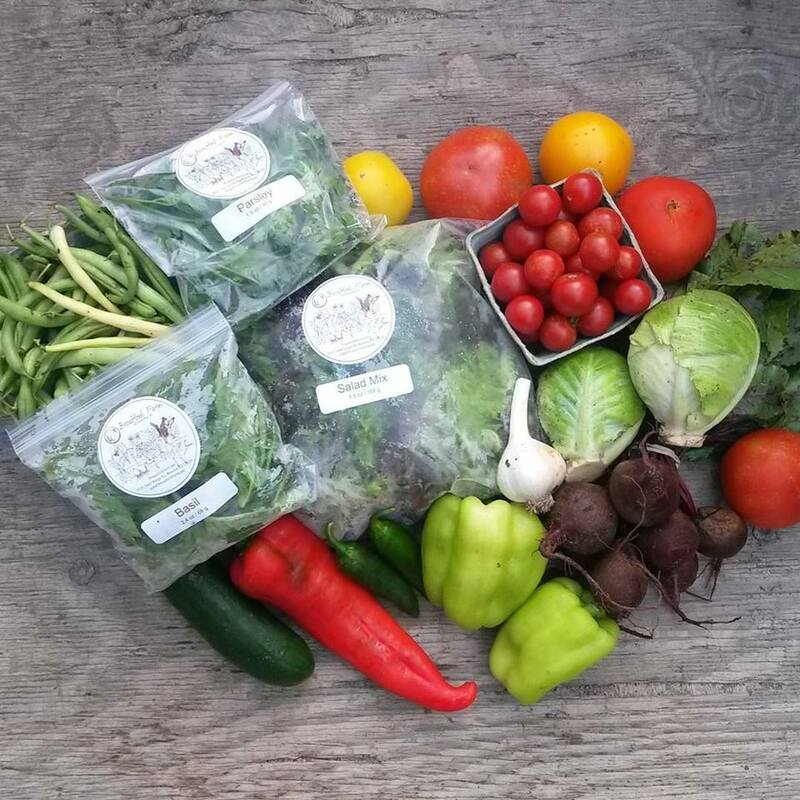 Broadfork Farm‘s CSA members will be eating well this week!!! The non-profit Chesapeake Climate Action Network will be sharing information on Shell’s plans for the arctic. I’ll end on a very sweet note … Grammy O’s will have their popular pineapple sticky buns! I recommend that you follow your favorite vendors to see their updates each week. It’s a great way to help plan your purchases. 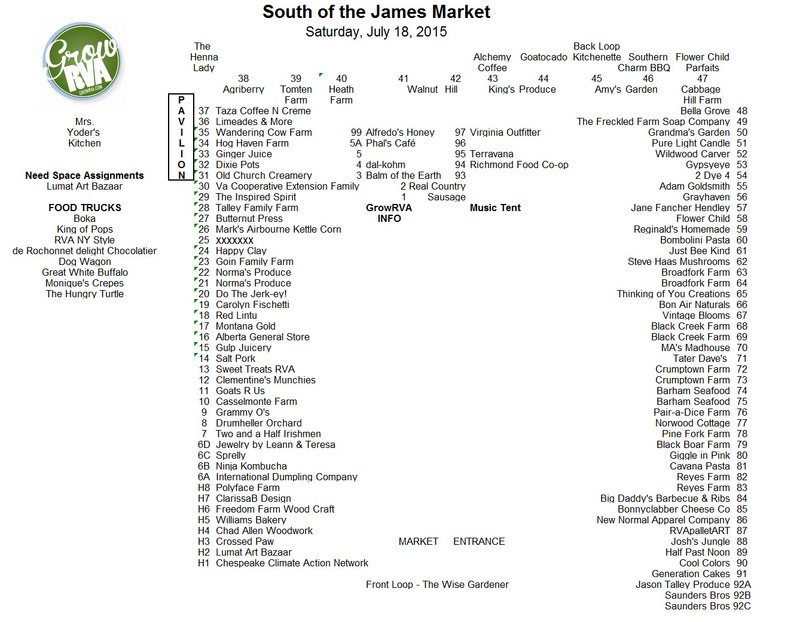 The full market map for tomorrow is below. Hope to see you there: 8am – noon in Forest Hill Park.